Visiting most of the Balkan countries in just one short trip? That’s possible! In this post, you’ll find out how to make the Balkan trip happen without any problems and on a budget. In just a week you will get a great impression of the life in Balkans, differences between the countries and their lifestyle. All so similar and yet so different, many Balkan countries are probably one of the least discovered regions of Europe (Greece and Croatia don’t count). I wanted to go to Balkans for some time already, but visiting many countries in one trip looked impossible to me. One day, however, we just decided with Pepe, that we will go there and find a way how to get around in Balkans. 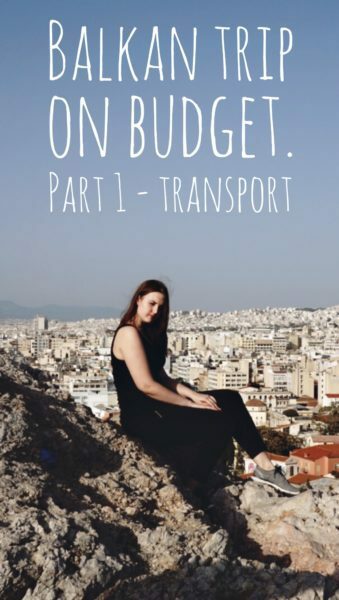 We just returned from the trip and want to share with you our impressions and tips regarding traveling in Balkans and not overspending your budget. This part is dedicated to transport and organisation of the Balkan trip, but in the second part, you can find information on sightseeing in all these countries. Initially, we wanted to do a road trip: hire a car and decide ourselves where and when to go. But after looking for quite a while, we realized that that’s really expensive: only one car rental company allows hiring a car in EU, visiting tons of non-EU countries and return it to a different place. But for that, it required a 500+ euro fee, which is not budget at all. And since we only had 8 days, it wasn’t possible to return it to the same place, so well, we had to look for another mean of transport. And that was a bus. Almost always. In the end, we were happy with this option, since some of the roads were really dangerous and tiring to drive (don’t know how the drivers made it). 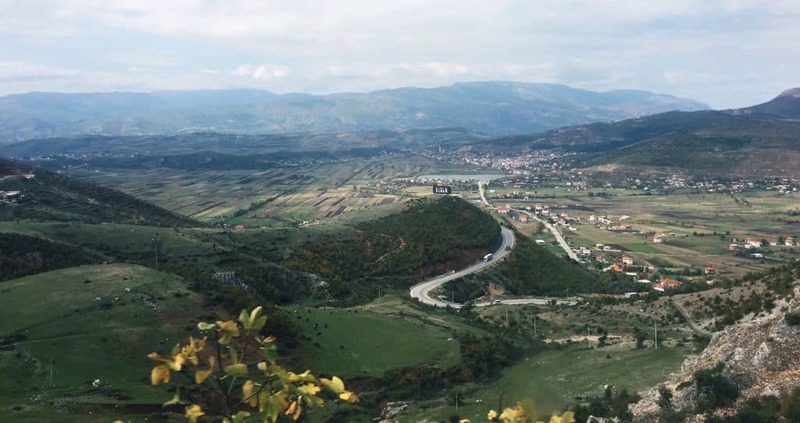 We tried to visit some of the most beautiful places on Balkans in just one trip and well, at the cost of tiredness and never-ending bus rides, made it just within 8 days. It would be an option for someone who doesn’t have so many vacation days but does want to see as much as possible just within 8 days. We decided to start our trip in Athens because it’s the easier destination to reach from London and Saint Petersburg (we still live in different places). Also, because of the exactly same reason we decided to fly back from Belgrade and bought our tickets around 1.5-2 months in advance. Check this post for more information on how to save when planning a trip. The rest of the tickets for the Balkan trip (which were available online) we bought just 10 days prior to the trip to Balkans. So well, how did we travel from place to place in our Balkan trip? From Athens to Thessaloniki we flew with Aegean Airlines and we managed to get this flight for free using our travel miles from Alfa Bank. The way from Thessaloniki to Ohrid was probably the most troublesome and difficult during the whole Balkan trip. The easiest option would be just buying buses to Skopje and from Skopje to Ohrid, but this way we would spend hours and hours traveling and not seeing anything and would arrive in Ohrid late at night and not see a thing (the bus to Tirana was leaving quite early). Instead, we decided to buy a train from Thessaloniki to Florina at 7am (around 15 euros) and then go to Bitola (Macedonia) by taxi (35 euros). That wasn’t the cheapest option, but it was the fastest. It was easy to catch the taxi in Florina (there was a line of taxis waiting for the passengers from the train). We knew it was cheaper to hire a taxi in advance using this TripAdvisor forum (taxi would cost just 27 euros), but the drivers never replied to our email, and we couldn’t call the numbers they provided. So we went for the easier option. From Bitola to Ohrid there is a bus, but we arrived at 10:30 am and the next bus was around 1pm, so after killing some time in Bitola we took a taxi again (which was just 15 euros for the 70km route). Finally, at 1:30 we arrived in Ohrid. From Ohrid to Tirana it’s possible to get by bus (20 euros), tickets sold at the travel agency in the center of Ohrid, but the bus was leaving at 5am. We knew there was a public bus from Struga (a town located 15km away from Ohrid), so we got there by taxi (6 euros) and took a bus from Struga to Tirana at 9:30. There are only a few buses from Struga to Tirana, in the low season just two of them: one at 9:30 and one at 12. Both of them cost around 12-13 euros and take 4.5-5 hours. The bus also charged 2 euros per luggage item. From Tirana to Kotor we also got by bus. 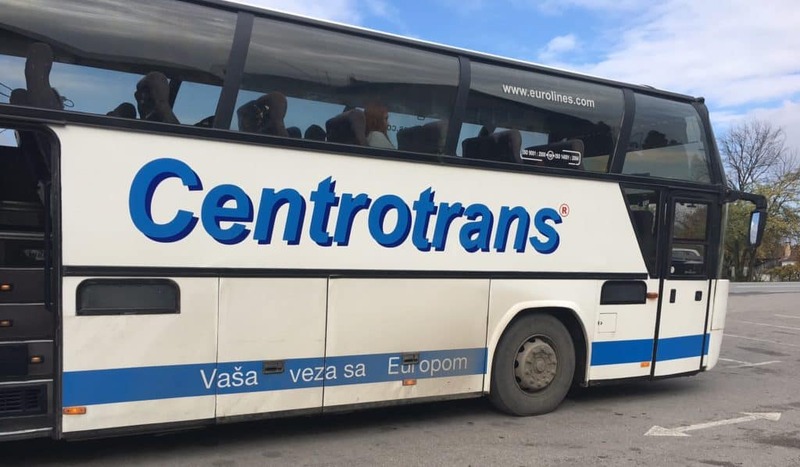 This bus was bought online on this website. The price wasn’t so cheap, but it was fine for the 6-hour ride. The ride was really amazing, especially the Podgorica – Budva part. It was a serpentine through the mountains and we were happy to see some really breathtaking views. From Kotor to Dubrovnik there are already more buses, you can check the schedule at buscroatia.com (that’s where we got our tickets). The bus station in Kotor is really a rip off, because the tickets which were bought online had to be validated for 2 euros each and also, they asked for 1 euro per luggage item and didn’t let us go in with our not so big backpacks, so it was additional 3 euros per person (added to 23 euro ticket). However, Dubrovnik it’s worth it. From Dubrovnik to Mostar there is a regular bus, which goes 5-6 times a day. The ride takes 2.5-3 hours. 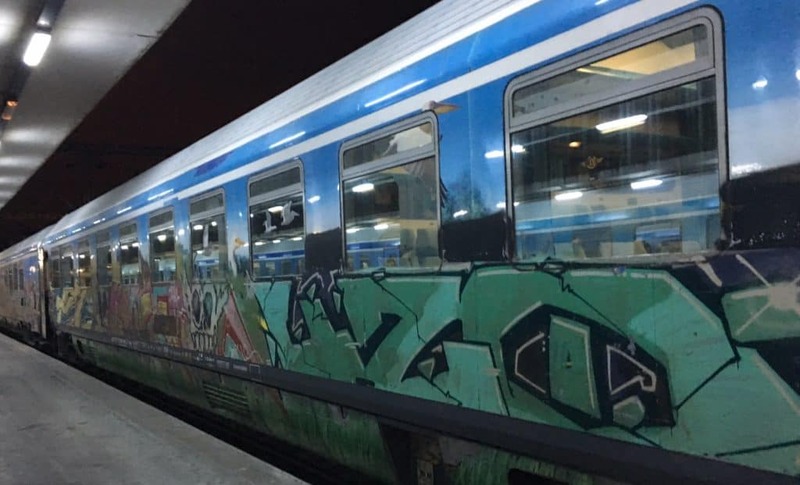 From Mostar to Sarajevo there is a train (only during the summer time) and some buses (6-7 a day). The tickets can also be bought online on the same website (buscroatia.com). From Sarajevo to Belgrade you can also get by bus or train, but note, that there is only one bus per day which leaves at 6am in the morning and takes long 8 hours. The bus can be bought online, but it’s also easy to go to the main bus station and buy it there (especially if you arrive exactly there). The price is around 23 euros. After we bought our tickets, we discovered, that there was an option of shared mini-van taxi booked from the hostel for almost the same price (25euros), so that would be a better option, but well, we learned it too late. P.S. : Pin it on Pinterest, so you don’t lose the tips! I love this post!! And I will definately be using it for my trip to the balkans next year!! We are looking at hiring a car to drive around which we are so excited about but only for a few days then island hop in Croatia before coming home!! This was THE ONLY useful blog/resource I found for planning my trip to the Balkans (the transportation blog). Thank you so incredibly much! You’re welcome, Julianne! 🙂 Hope your trip will go smoothly! Hello, loved the post! Curious… how easy were the border crossings at each point, was it just as simple as hopping off the bus, show your passport, stamped and then hop back on? Thanks for the write up! You covered a lot of ground in a short period of time! Question about Sarajevo to Belgrade, we will be heading Belgrade to Sarajevo in July and wondered what hostel in has the mini van taxi? the below information is very useful. hello I’m planing to do the same journey but have a problem in finding a car rental company. can you please tell the name of the car rental company because I can not find one company that allows you to drive to non eu countries. your help will be much appreciated. Hi Alison, that’s exactly what this post about – a bus trip. There is no car rental company that would allow this route, so we had to take buses, but in the end, it was fine and fun!